INBOUND is Hubspot’s annual sales and marketing conference. Over 19,000 attendees from nearly every industry gathered in Boston this year to learn about inbound marketing strategies and tools they can use to transform their businesses. 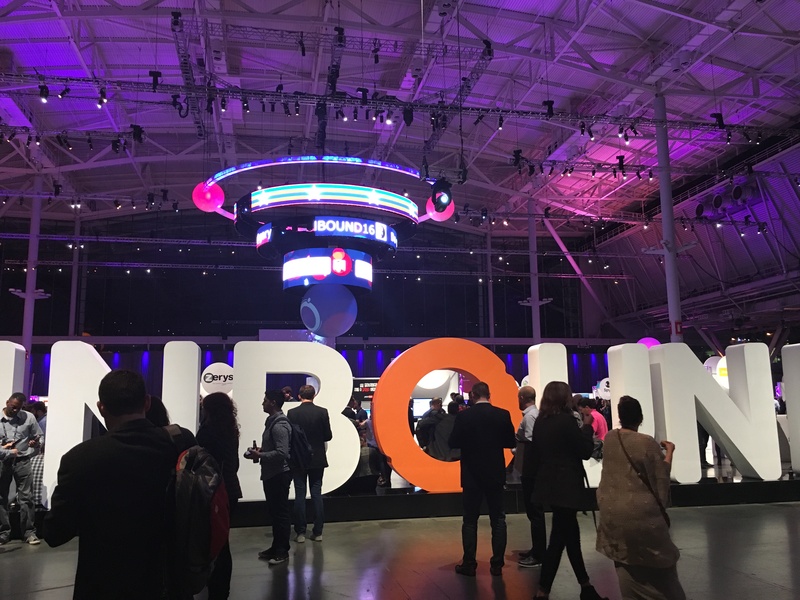 As a Hubspot Certified Partner, we were thankful to be able to attend INBOUND 2016. Here’s a rundown of what we learned. Since the conference marked 10 years since Hubspot’s founding, most of the messaging focused on how things like technology, marketing and sales have changed in the past decade, and where they are heading. Gary Vaynerchuk’s opening keynote talked a lot about how we are currently in the “golden era of Facebook marketing.” Such a big opportunity exists right now with the platform that he believes if you aren’t currently running Facebook ads for your business, you’re too late and won’t be able to capitalize on the market. He predicts that the CPM of Facebook ads will be $30 within the next three years (currently, they average about $8). Instagram ads are important as well, but Twitter has become oversaturated so the CPM is too expensive for the ROI you receive. He also sees influencer marketing as an important component of your marketing if you focus on B2C. Many of the keynotes and breakout sessions talked about how popular video and audio mediums are (and will continue to be) for content. Live video in particular (on Facebook and Snapchat) was stressed as an outlet that will only continue to grow. In her session, Chelsea Hunersen, who runs Hubspot’s own social media channels, emphasized repurposing your current, long-form content for these growing mediums. Turn a successful blog post into a podcast with your team, and shoot a Facebook live video of you recording that podcast. Now your audience can choose which way they’d prefer to digest that content, and you’ll reach more people as a result. This has already motivated us to become even more creative when producing content for our clients. Hubspot founders Brian Halligan and Dharmesh Shah gave a keynote speech that was both entertaining and practical. In it, they talked about their journey as founders of a company that has pioneered such a passionate movement in marketing and what they have learned as leaders, researchers and strategists. They outlined one key point in particular that seems like common sense, but isn’t always done well. Too often, companies work to extract every last bit of value from their customers. Instead, companies should be focused on adding value to their prospects. They also hit on the significance of text to audio or video in the coming years, saying that every blog post will someday be automatically converted to an audio format, which will have far-reaching effects on the world of content and inbound marketing. One of the biggest announcements was the introduction of Hubspot’s new marketing chatbot, called GrowthBot. By communicating with GrowthBot, you can easily access information about your company’s sales and marketing performance and use it to prospect for new customers. Once GrowthBot really takes off, it could revolutionize the way marketers and sales professionals work. GrowthBot could run reports in the background, saving you time and allowing you to focus more on actual strategy and implementation. Eventually, Dharmesh said, AI will be so strong that there will be a “Match.com for leads,” allowing for autonomous, self-driving marketing automation. Hubspot inches closer to that with GrowthBot. For us, a highlight of the conference was Tim Urban’s spotlight talk. Tim Urban runs the popular Wait But Why blog and approaches writing content in a different way than most. When he started the blog, his goal wasn’t to get over 150 million page views (which he has) or nearly 500,000 subscribers (he has that, too). Instead, he just wanted to write about big world events and topics in a way that he would want to read. He called himself a “curious baby,” and figured that there were (statistically) at least 5 million other curious babies in the world. By writing the why first, and then the how, he has been able to tackle complicated subjects like Elon Musk and Space X in a way that is not only understandable but wildly entertaining and value added. You can apply this “curious baby” concept to your business. Think of how you would want to read content, and then write it that way. You might not be a “curious baby,” but you are something. And there is a good chance your customers are that something too. You can watch Tim’s full session below. Think about how to repurpose your content. Start embracing video now. Eventually, every sales and marketing task will be fully automated. We’re excited to implement what we learned at INBOUND 16, but we are also glad to know that what we are currently doing is on the right track. At MODassic, we use AI to trigger workflows and notify sales when a lead is ready to be contacted. A lot of our processes are automated, and we use analytics platforms to fine-tune those automations for our clients. We’re actively searching for ways to leverage content on different platforms and in different mediums. INBOUND has inspired us all to push ourselves even more creatively and prepare our clients for changes in their markets and in technology.